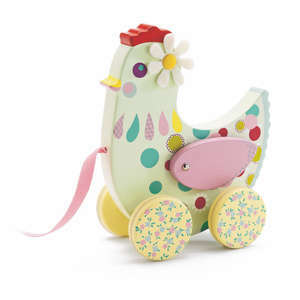 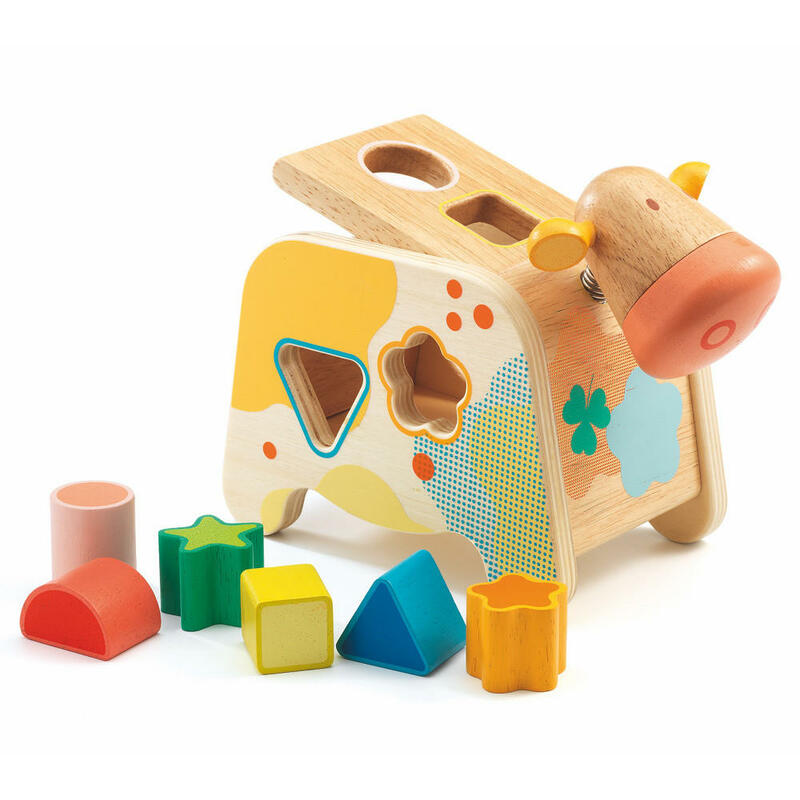 Cachatou Maggy the cow is a colourful wooden shape sorter from French toy brand Djeco. 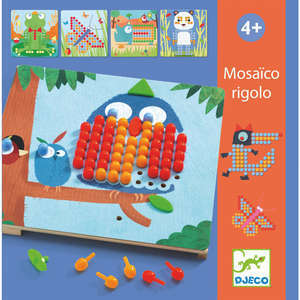 Toddlers are attracted to the bright colours and enjoy posting the six chunky wooden shapes through the holes in Maggy's back and sides. 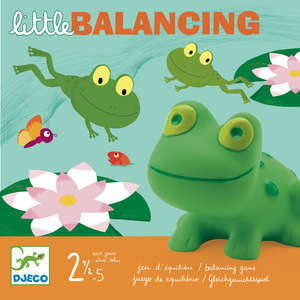 The shapes are easily removed by lifting the lid, which is safely attached with heavy duty elasticated cord. 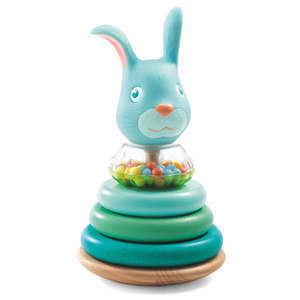 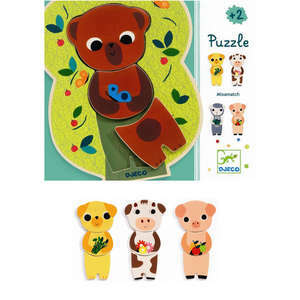 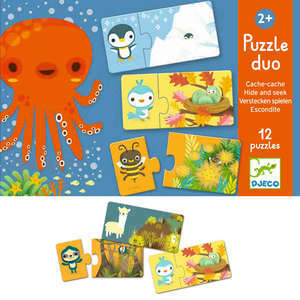 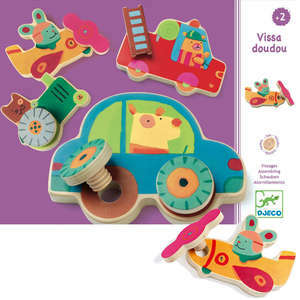 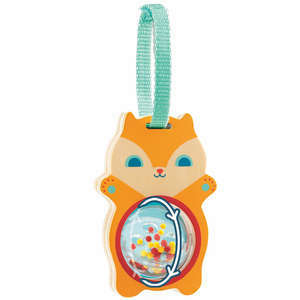 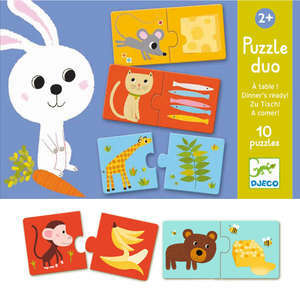 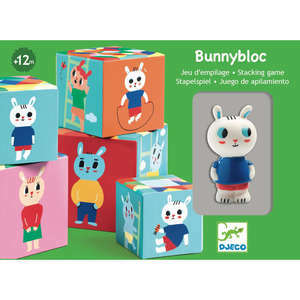 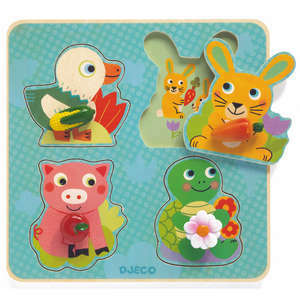 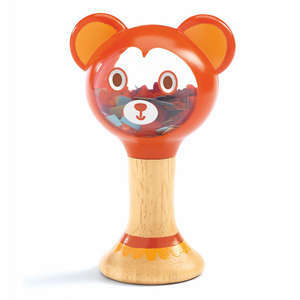 Djeco are well known for their imaginative wooden toys which are produced to the highest quality and safety standards. 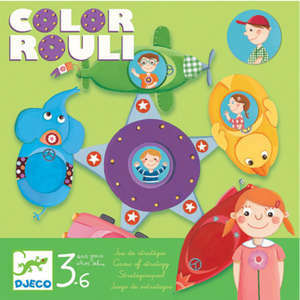 Presented in attractive Djeco packaging - ideal as a gift.